Spicer has settled his bow plane, comprehensive answers, nothing out of left field, starting to feel like...gasp... business as usual. I'm with Spicer on the unemployment rate. Summarizing the labor market in a single number is simplistic. The labor market is complicated. Trump: I'm the tallest president. T: Ask about issues that matter. ON ISRAEL — “There’s no decision” about moving the U.S. embassy from Tel Aviv to Jerusalem. Big walk back. Spicer: "People were hooting and hollering, they gave him a 5-minute standing ovation" at CIA. But reports these were Trump guests, not CIA. 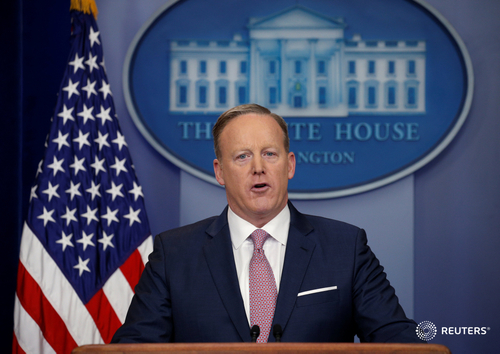 In to and fro between Spicer and ABC reporter Jonathan Karl about the feud with the intelligence community, the reporter never mentioned that Trump likened intelligence leaks to Nazi Germany. Spicer doubles down on Inauguration being the most widely watched ever, when you include online, tablets and phones. "Our intention is never to lie to you." "I believe we have to be honest with the American people, but we may disagree on the facts." 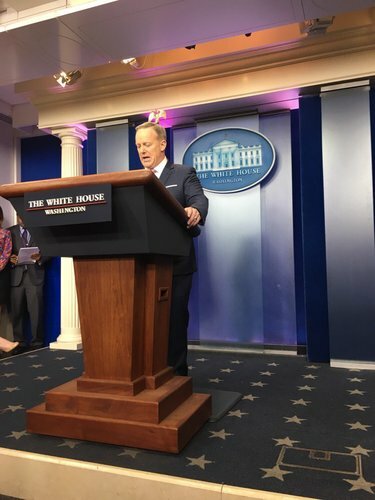 Sean Spicer thus far is skipping over the first row of MSM, which is sure to press him on Saturday's falsehoods/lies. Q: Are you enforcing the mandate. NY post gets first question not the AP a big break in tradition. NY Post then Christian Broadcasting Network get first two questions. First question of the Trump era goes to New York Post. Spicer takes a shot at Democrats for not confirming members of Trump's Cabinet. "Stop playing political games with the core functions of government," he said. 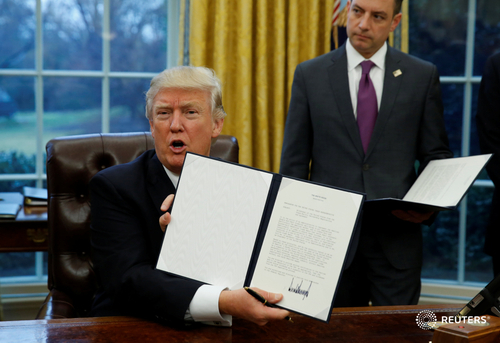 Trump makes smart first pol move: bringing in all the hardhat unions right out of the gate, try to drive wedge in house of labor.
.@nytimes Spicer said the US is now in a "new era" of "bilateral trade opportunities with allies around the globe." Today’s event is a valuable reminder that daily press briefings are very boring. Spicer opens presser with a joke: "I was going to start with a brief recap of the inauguration but I think we’ve covered that pretty well." 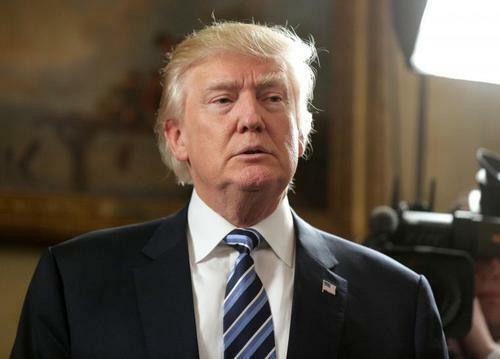 ReutersA group of prominent constitutional and ethics lawyers sued President Donald Trump on Monday, accusing him of violating the U.S. Constitution by letting his hotels and other businesses accept payments from foreign governments. A lawsuit filed in federal court by the nonprofit Citizens for Responsibility and Ethis in Washington sued President Trump, seeking to stop his business from accepting payments from foreign governments. The cite a provision in the U.S. Constitution called the emoluments clause. 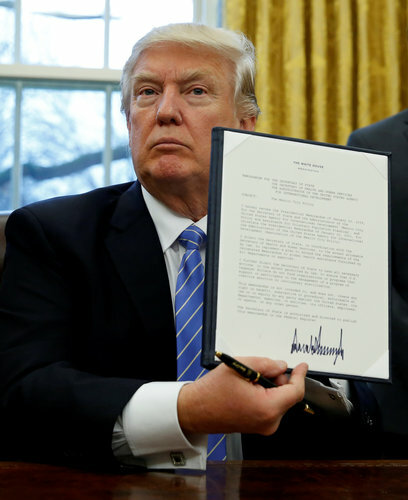 Trump signs executive order on federal hiring freeze.